The 40 S&W was designed from the ground up to be an exemplary solution for personal protection, and it has certainly achieved that task. That the caliber delivers nearly identical performance to the 9mm while offering a marked energy advantage is a strong argument for its preferability. 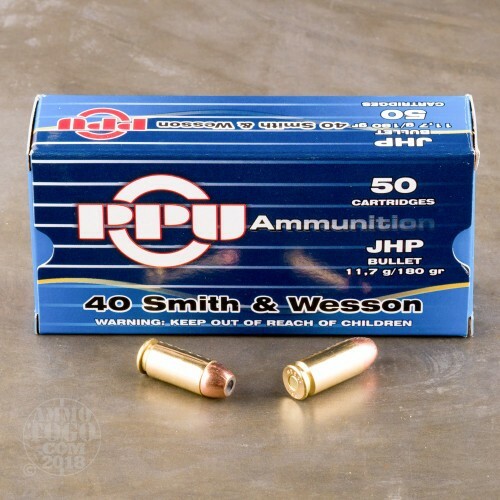 If you’ve been swayed in favor of the 40 S&W, you’ll certainly value a cost-effective yet high performing round for your pistol. This one is just that. 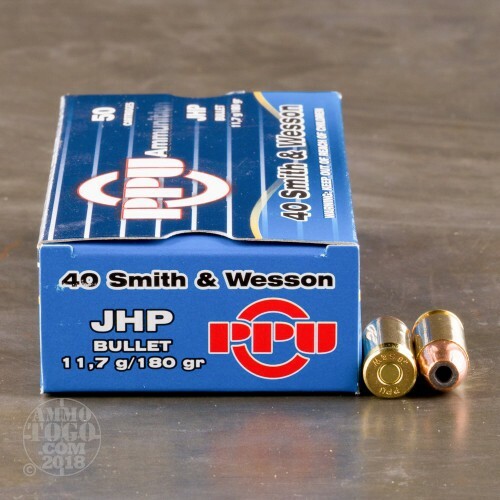 This 40 S&W cartridge by Prvi Partizan is crowned with a 180 grain projectile, the caliber’s original bullet weight. This is a hollow point bullet, so it expands to far greater than its original diameter as it tunnels within a soft target. 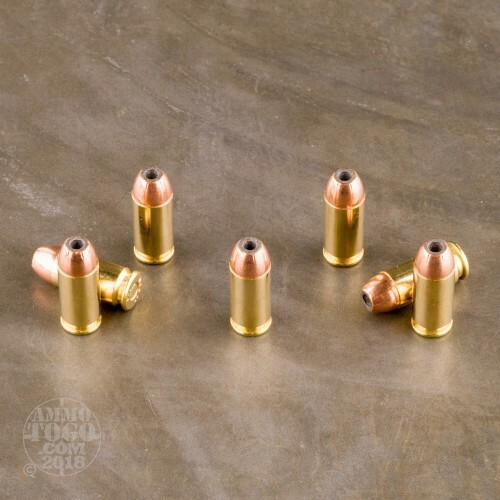 The bullet’s jacket assures that expansion occurs dependably, and further protects a pistol’s bore from lead fouling which can rapidly deplete accuracy. This round’s Serbian manufacturer has also given it a new brass casing, sure-fire and non-corrosive primer, and propellant that burns clean to lessen the need for frequent cleaning. 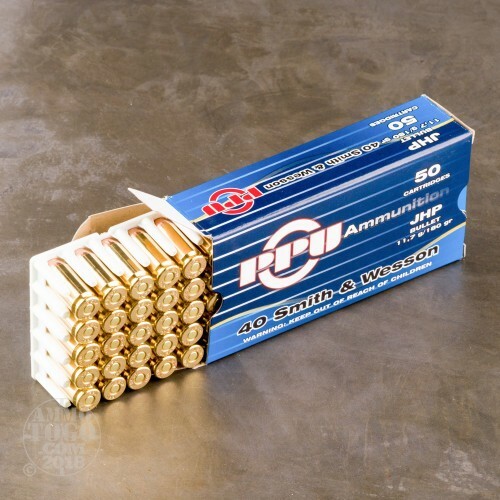 These 500 rounds’ price tag makes them conducive to extensive training, so you may become confident in their performance before chambering them in your everyday carry.